Okay, I admit it. I'm a bit of a food snob about franchise restaurants, so I was surprised last week by the excitement I heard about Mellow Mushroom, a new pizza and hoagie restaurant in Germantown. At Easy Way, two women picking through the green beans were ecstatic about the restaurant's funky vibe. At the liquor store, folks were debating possible locations for the next Mellow Mushroom. "Just let it be near me," someone said. Even Flyer staff writer Bianca Phillips tapped out this enthusiastic e-mail, and she's a vegan: "Whoa! Do we have a Mellow Mushroom now?! Holy crap! I love the place." So what in the world is going on? How about pizzas with hippie names like Magical Mystery Tour (pesto, portobello mushrooms, spinach, feta, and jalapeno), calzones and hoagies (including Phillips' favorite: teriyaki tempeh), 32 beers on tap (the list begins with Abita Amber and ends with Yuengling Lager), and a charming mural with caricatures of Memphis music icons. "We had a thousand customers on opening day. It was insane," said Cary Fairless, who owns and operates Mellow Mushroom with his wife, Lori Fairless. "A lot of people know the brand and the quality of the food. They like the cool environment and the type of service we are giving." After one visit, it's easy to understand the restaurant's reputation. The choice of pizza ingredients is a little mind-blowing. First, there are four kinds of pizza dough: olive oil and garlic, pesto, red, and barbecue. Next are the cheeses: blue cheese, cheddar, feta, Parmesan, provolone, ricotta, and fresh mozzarella. Fruits and veggies? There are 20. Proteins? Select from 20 more, including four kinds of tofu, anchovies, and jerk chicken. 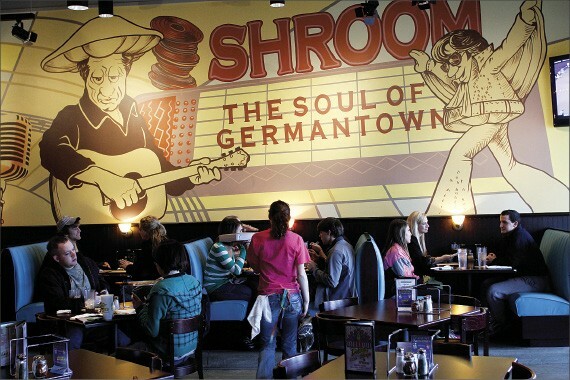 Started in 1974 by a trio of college kids at Georgia Tech, Mellow Mushroom now includes 100 restaurants in 15 states. The Germantown restaurant — located on Poplar in the former Old Navy location — is the first of several restaurants that the Fairlesses plan for the Memphis area. "Hopefully, by early summer, we'll get focused on the next location," Cary said. "There are lots of great possibilities." Marilyn Weber was an experienced baker before she opened Gigi's Cupcakes last Saturday in East Memphis. But she still attended the franchise's "cupcake college" to become swirl-certified. "It was a humbling experience," she said, laughing. "With Gigi's, it's all about the swirl." The three-tier swirl of butter cream or cream-cheese icing adorns every cupcake at Gigi's, but no two flavors are alike. In fact, Gigi's offers so many kinds of cupcakes that employees hand out cupcake menus so customers can keep it all straight. "One of the things that makes us unique is that many of our recipes are family recipes that have been time-tested," Weber said. "Our wedding-cake cupcake comes from a recipe that has been used for generations." Cupcakes sell for $3 each, and already, bakers are cranking out 900 a day. "We're not just selling cupcakes," Weber explained. "We are selling the experience." Gigi's is open Monday through Saturday from 10 a.m. to 7 p.m.
Charley's Grilled Subs, a worldwide franchise with 400 locations, opened its first Memphis restaurant last week in Oak Court Mall. Started in 1986 on the campus of Ohio State University, the sub shop sells six variations of a Philly cheese steak, another six types of deli subs, and finally, seven Charley's "favorites," including barbecue cheddar steak. In addition to breakfast sandwiches and all-natural lemonade, Charley's specializes in gourmet fries, loaded with cheddar, bacon, or ranch dressing. On my visit, I stuck with the originals: strips of fried potatoes with the skins, seasoned with a few shakes of Charley's seasoned salt. Yum. 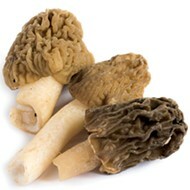 The morel is the story.